Lovely buttons - excellent selection - thank you! 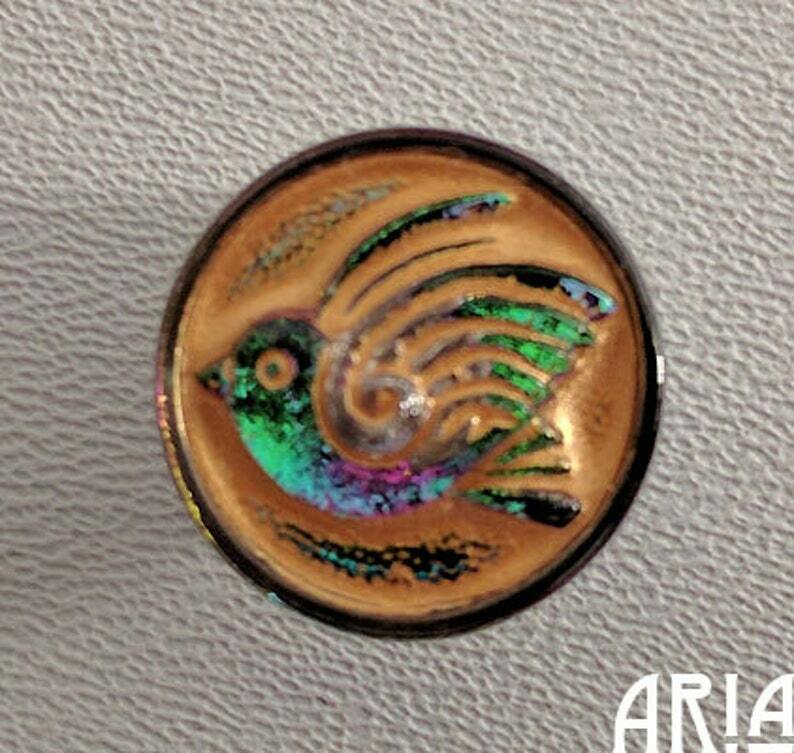 Another great bird themed button. Again, the play of deep glass color and beautiful matte highlighting gives the button a strikingly beautiful quality. Looking forward to the jewelry I can make with it. Adorable buttons and quick shipping.